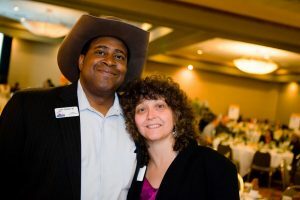 Perhaps the most visible memory that many will have of Lew Gaiter, former GOP Gubernatorial candidate and Larimer County Commissioner, was his massive act of kindness towards a fellow candidate at the 2016 GOP State Assembly, Teri Kear. Unfortunately, Kear didn’t fully understand the process and had nobody to nominate her at the gathering of thousands of GOP activists where they eventually selected candidates Walker Stapleton and Greg Lopez to advance to the primary ballot. When it came time for Kear to be nominated and to give her speech, Gaiter stepped up, not knowing Kear, and nominated her. Because that was the kind and generous guy he was. Sadly, Gaiter lost his battle on September 18 with the blood cancer he had successfully fought for the past ten years. We need more men and women like Gaiter in the bloodsport now known as politics more than ever and he will be missed. A public memorial service is planned to celebrate Gaiter’s life on October 20 at the Timberline Church at 2908 S. Timberline Road, Fort Collins. In lieu of flowers, Gaiter’s family is asking for donations to United Way at https://impact.uwaylc.org/LewGaiterMemorial. Donations will be distributed to Realities For Children, The Matthews House, Alpha Center and WomenGive.